In the map of Europe, you can actually see a lot of potential places one can have their dream vacation. One of the most popular countries that are known to give maximum satisfaction to foreigners is Serbia. Tourists in the place will get the chance to enjoy the national parks found in Belgrade. Mountain resorts are also widely available in the place that it leads the tourists to visit the country very often. 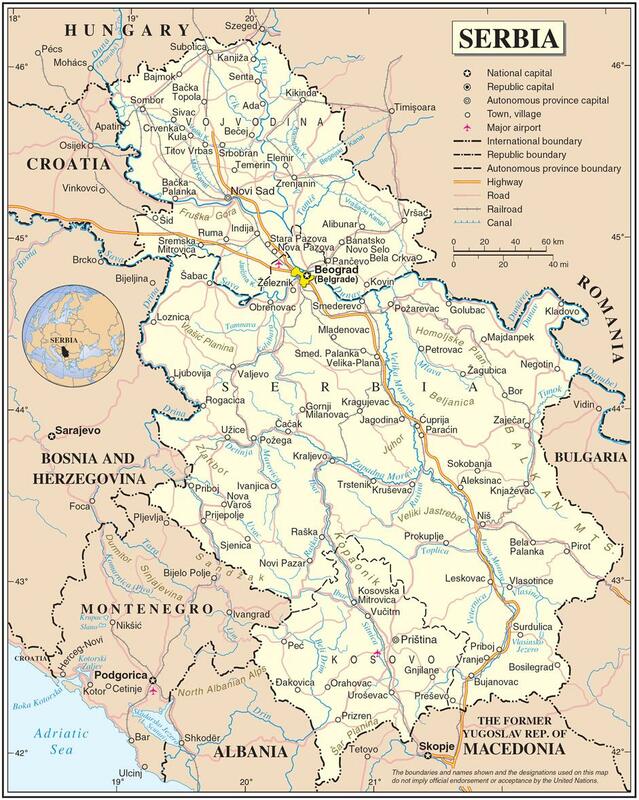 In fact, it is claimed that Serbia possesses a terrific beauty of mountains, lakes, ski resorts and reservoirs. During summer, it is noticeable that there is a heavy influx of German, Italian, English and French tourists, while New Year is reserved for the Slovenian nationals. Also, one of the best characteristics of Serbian which lead people to visit the place more often is the hospitality shown by the Serbians towards the country’s tourists. When you get to visit the map of Serbia, you will be able to see lots of Serbia destinations which would surely bring you a one of a kind vacation experience. If you get to travel Serbia, you will be able to see the marvellous nature-endowed tourist destinations which no other tourist spots could parallel with. All you have to do is ride by a plane from London which would just usually take you about 2 hours and 40 minutes. However, it should be noted that the national airline, the Jat Airways, does not cater direct flights coming from the US. If you are coming from the neighbouring European countries, you can travel Serbia by rail or by road though bus, trains and buses. When you are in Serbia already, you could avail of the car rental services which are offered at a relatively affordable price. With regards to the accommodation within Serbia, you can find concentrations of Deluxe and 5-star hotels in Belgrade and Novi Sad. The smaller towns offer hotels that are mid-price or owned and operated by the state. Furthermore, some of these state-owned hotels have been bought by private institutions and are refurbished to meet the current demand of the foreigners and tourist when it comes to comfort and style. Overall, the hotels in Serbia are collectively great. Prices of the accommodations actually vary being the 5-star class hotels, the most expensive. Aside from this, there are also small boutique hotels that can be seen in Nis, Belgrade and Novi Sad. But there is more, if you are finding alternative places to stay in Serbia you can actually rent a Camper and roam around Serbia without hassle. A list of companies that offer camper truck rentals can be found on National Tourism Organisation of Serbia. There are also several inns and motels along the major roads of Serbia. Prices actually vary based on several factors like tourist season, location and the quality of service rendered. If you have the desire to roam around Europe, never miss going to Serbia for this place would surely bring you the kind of vacation you have been dreaming of.